The political events since the end of the ANC’s Nasrec conference have shown that the disputes over power within the party have very deep roots, and no easy or quick solutions. In all the chaos, one thing does appear certain: were Mr Zuma and his followers successful in removing Ramaphosa from his office through any means over the next few years, the ANC would not survive, both as a coherent political force, and as a governing party. The incidents over the weekend, where it appeared that former president Jacob Zuma was at the centre of a successful bid to stop a unity slate taking power in the ANC in KwaZulu-Natal, reveal that he still has strong support there. As a result, it is easy for some to believe that President Cyril Ramaphosa is in serious trouble. That appears be too simplistic a view. There are very few certainties in the ANC and our politics in general at the moment, one of them the crucial position of one Cyril Ramaphosa. Monday’s reportage of the ANC and the events of the weekend were full of dark words about the “pushback” from Zuma, and the dangers that this would create for Ramaphosa. By and large, it is absolutely correct for many people to be concerned about the unpredictability this latest salvo of inner-party hostility creates. Certainly, the fact that there was no proper outcome to the KZN ANC’s conference over the weekend means that the political temperature will remain high, and will probably lead to a depressingly high likelihood that the politics-related assassinations will continue. At the same time, the situation in North West is also damaging to the party and to governance as a whole; there is no premier who has political power, and the ANC cannot agree on who should replace Supra Mahumapelo. In the Free State, ANC Secretary-General Ace Magashule has managed to install the leadership he wanted, but its legitimacy is questioned, and could soon also be challenged in court. 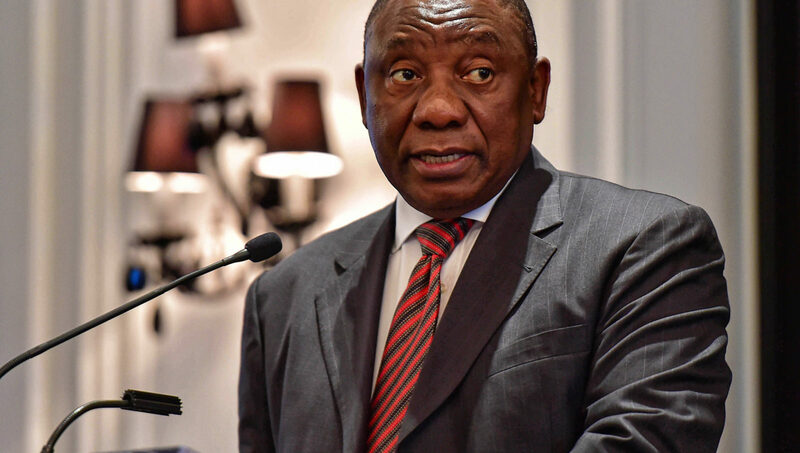 All of this can give the impression that Ramaphosa is slowly getting weaker, that in fact he does not have the power to resolve some of the bigger problems that the ANC is facing. This is possibly true. But at the same time, it must also be true that the ANC simply has no one who could take over from him, were he to be removed, or even if something more dramatic were to happen. The facts of this are pretty stark. Zuma’s polling numbers while president, with all of the levers of power that he controlled (including apparent power, through Hlaudi, over parts of the SABC’s coverage) still dropped to 20% across the entire country. Those numbers were mirrored by the polling that was done around now Minister in the Presidency, Nkosazana Dlamini Zuma. It appears many voters saw them as the same political unit. This would surely be the case for anyone associated with Zuma. Were they to somehow ascend to power again, the ANC would win an election, any election, never mind the fact that the party would surely split if there were a serious bid to remove Ramaphosa. Imagine just for a moment delegates gathering in a single hall for a special conference or national general council called to remove Ramaphosa – that would have been the party’s last gathering in that shape. The same improbability also holds true for Deputy President David Mabuza. While he appears to have done everything possible to back Ramaphosa where necessary (including criticising Magashule in Parliament) the questions about his past will not go away. At the same time, it should not be forgotten that those who supported Dlamini Zuma felt betrayed by him at Nasrec, while it is likely that those who backed Ramaphosa surely only tolerated him. He too would lack legitimacy to take over, and would be unable to rely on strong support from major parts of the ANC. This assured destruction gives Ramaphosa real power. The fact that he cannot be removed means that he can go rather far in his political actions, knowing that he would still be safe. While it is usually true that no one is indispensable, he must be pretty much as close as you can get to that position in the ANC right now. As a result he has a certain freedom of action. It is obvious that he feels he can, to a large extent, make the appointments he wants to make in key areas. The fact that he must have signed off on the appointment of Godfrey Lebeya as head of the Hawks, a man who is both an advocate and a Doctor of Law, shows this. In the parastatals his Public Enterprises Minister Pravin Gordhan is surely enjoying turning off the patronage taps one by one. There is also likely to be a cumulative effect to this. As Ramaphosa and those who back him are able to slowly tighten their grip on state power, so they will have more and more levers to pull against those who are against him. And in fact, the most powerful of those levers is still not yet in his grasp. But is soon will be. Advocate Shaun Abrahams, the man appointed by Zuma to head the National Prosecuting Authority, is still in his Silverton office. But, once the Constitutional Court has ruled on a certain case relating to his appointment, that office will almost certainly move into the gift column for Ramaphosa. Once he will be able to appoint the new person there, while unlikely to impact much on cases that are already running, such as the prosecution of Zuma, it will have an impact on all other matters. Both the investigators at the Hawks and the prosecutors at the NPA will be run by people who will probably have a vested interest in prosecuting those who are under suspicion for corruption. (Just to be clear here, this does not mean that Ramaphosa must appoint an ally as head of the NPA. It is simply to point out that even if, as is generally expected, he appoints a politically neutral figure, that person is likely to want to prosecute people who are close to Zuma simply because of the sheer weight of evidence against them (Exhibits 1-7839: #TheGuptaLeaks.). It should also not be forgotten in this case that Ramaphosa would have known that Zuma, and those around him, were not going to go down without a fight. First the fight was to remove Zuma, which Ramaphosa won. Zuma was also going to have to fight back after that, simply because the threat of jail is quite so close. The political fightback was obviously going to be through his base, KZN. Ramaphosa was probably prepared for what is happening, or has at least thought it all through. It could be because of this that a group of people were ready to go to court so quickly on Friday, once it became clear that Zuma had managed to allegedly scupper the unity deal that appears to have been on the table. In a strange way, the position that Ramaphosa is in now has a slight echo with the structural tension that allowed Zuma to remain in office for so long. It became impossible to remove Zuma simply because there was no one person who could replace him who was acceptable to everyone, and the process was just too damn long and complicated. The same is now true of Ramaphosa.